In case you missed my Twitter announcement yesterday: I have been published on CT Food & Wine, a great online magazine about all things local! My article is a restaurant review of Hidden Vine Wine Bar in Newington, and even if you aren’t from the area, I think you will enjoy the post for the yummy eats and drinks I share, so check it out! Boo. Being sick stinks! Especially when that sickness is of the stomach variety. Glad you guys still enjoyed yesterday’s Wordless Wednesday – I think the food and drinks spoke for themselves! I was certainly envious of my own adventures as I munched on popcorn, a banana, half an English muffin, white pototo…yeah, I’m falling asleep so I’ll spare you the details. I DID manage to eat a bite of chicken at dinner! PROGRESS! I was supposed to meet up with some friends/former co-workers last night at a Happy Hour benefit event, put on by Whole Foods, at It’s Only Natural, one of the only vegetarian restaurants in CT. We rescheduled for dinner there next week, but we each paid $15 for tickets we didn’t use – bummer! At least the money benefited a good cause, the Whole Planet Foundation. But the good news is I’m feeling quite good today – the day of rest at home was what I needed, along with last night’s sleep, in which I slept straight through the night (not even getting up to pee) for 10 hours. I felt pretty glorious this morning actually, and woke up 20 minutes before my alarm well-rested! I’ve got fun stuff going on this weekend – dinner and margaritas with Kelly at Plaza Azteca to use a SaveNowCT deal on Friday, dinner at Grant’s in West Hartford with my mom to use a gift certificate she’s had since forever, quality time studying and blogging at my favorite cafe, getting back to my usual cardio group fitness classes, and hopefully seeing “The Vow” at some point. So even though I’m still feeling a bit blah, I’m trying to stay positive and look ahead! Soon when I’m feeling 100% I can get back to the things I love. 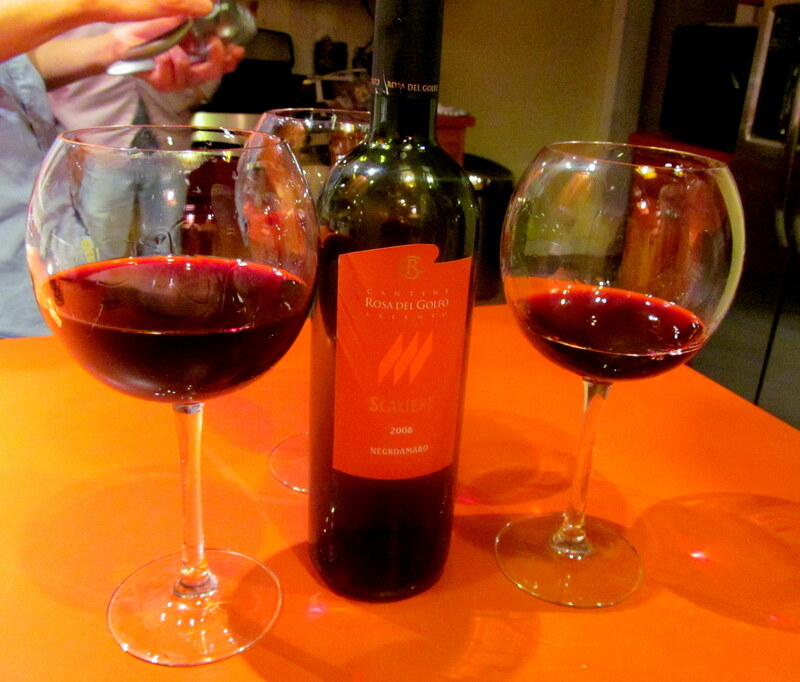 Like this amazing $11 bottle of wine that I tried a few weeks back and never got to share! BUY IT NOW. 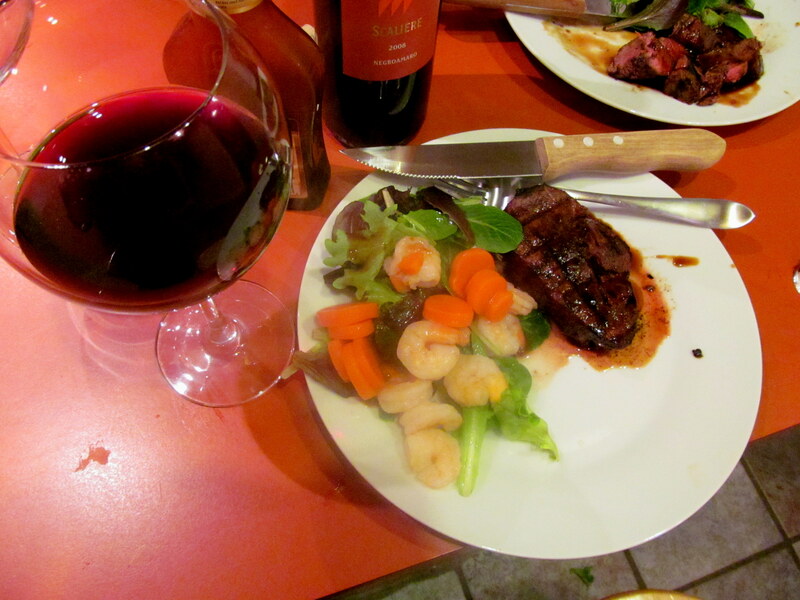 Or surf n' turf to pair with that wine! 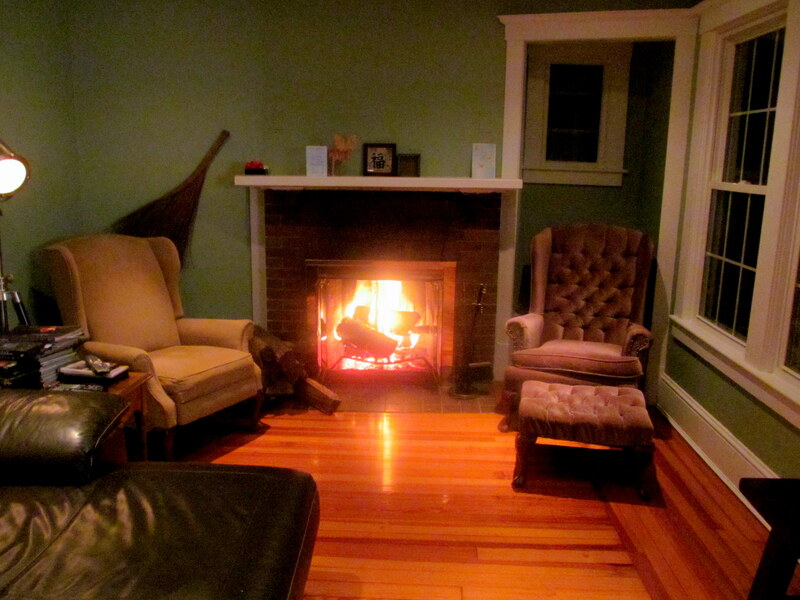 How amazing is their newly renovated living room? Hope you all have a good Thursday. I’ve got catching up to do at work today after being out sick yesterday, Innovation Management class tonight, then home to rest up for the weekend. Are you able to try to stay positive and look ahead when sick, or is it hard to see anywhere beyond the crappiness you are currently feeling?